Robotics enthusiasts and coders rejoice! 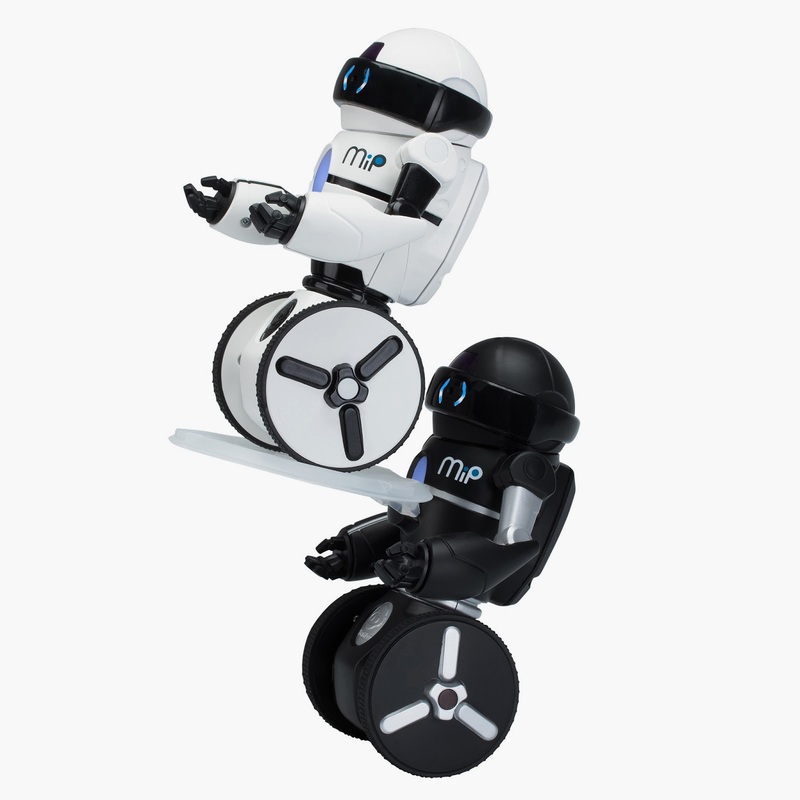 Toymaker WowWee has released a software development kit (better known as SDK) for MiP, the first consumer self-balancing robot that the company developed in partnership with the UCSD Robotics Lab. MiP can already do many things on its own, including balancing, fetching you a drink and dancing. But it was created to be hacked. The SDK is available for both Android and iOS. "Tell your friends, fork our project, buy our robot and share with us your own projects! These are the best kinds of positive feedback to us," the toymaker says on Github. Mentors, entrepreneurs and students met in the Qualcomm Conference Room on Jan. 20, ready to dive in head first into Phase I of the 2015 National Science Foundation Innovation Corps program at UC San Diego hosted by the von Liebig Entrepreneurism Center. The NSF I-Corps program aims to bridge the gap between business and technology through hand-on experiential classes designed for scientists and researchers and taught by experienced entrepreneurs. The von Liebig Entrepreneurism Center became an I-Corps Site in 2013 and has already conducted two 10 week workshops. This quarter, the Center received 27 excellent applications and 13 teams have been accepted into the 6-week program that will prepare them for commercialization, while expanding their opportunities to receive funding for their technology. This is the third Phase I cohort of teams participating in the program bringing it to a total of 54. Teams that successfully complete the program are also eligible to compete for up to $50,000 and participate in the national NSF I-Corps program. Nineteen mentors and 30 participants from various departments and schools including the Jacobs School of Engineering, Rady School of Management and Scripps Institute of Oceanography attended the program's first day of class. After the mentors introduced themselves with a brief background of their work and expertise, the students took center stage. Each team gave their 60 second pitch of the concept of their technology, the customer's problem they attempt to solve and the market they hope to reach. The program mentors and students then met Adrea Belz, Director of the Southern California I-Corps node, experienced angel investor, entrepreneur and business consultant for an invigorating presentation that encompassed how the program will challenge its students and what it takes to go from idea to a business. I-Corps Nodes and Sides are members of the National Innovation Network focused on bringing best practices and collaboration around technology commercialization in the country. During her presentation, Belz urged students to step out of their comfort zones and get out of the building and talk to customers. With the help of Frank Chen, an MBA candidate from the Rady School of Management, Belz reenacted a customer interview demonstrating the importance in identifying your market and listening to customer needs. To practice, the teams and mentors broke into groups and conducted their own interviews, where each team asked questions to a mentor, who acted as the team's determined potential customer for their technology. When class was called back into session, Belz encouraged the teams to iterate and pivot, to think with the business model, to turn guesses into facts and to fail before succeeding. Throughout the evening, it was made clear that the I-Corps program will challenge students to think on their feet and interact with their market. The program will continue to meet weekly on Thursday evenings, from January 29 to March 12. 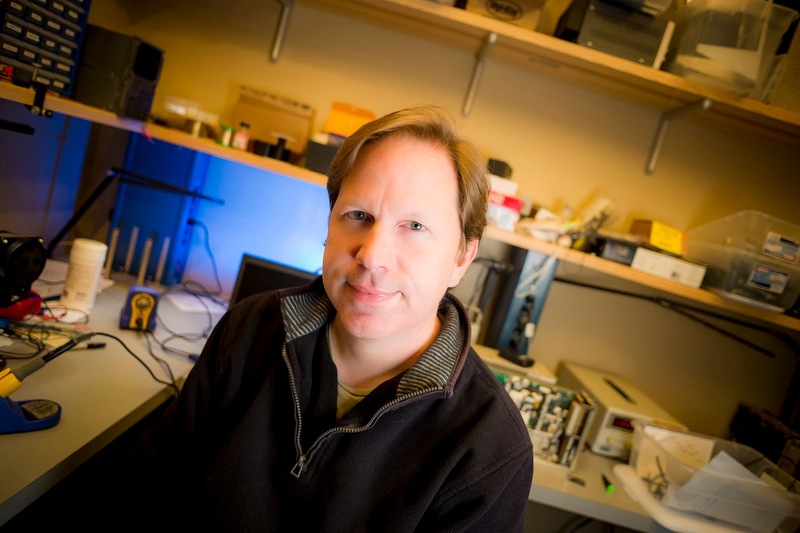 Nanolipo, led by a PhD student and professor in the Skaggs School of Pharmacy and the CACST-UCSD Center for Excellence in Nanomedicine, has designed a materila that improves liposuction procedures. In parallel with their scientific advancements, the team has begun incorporating the feedback of surgeons to their non-traditional approach, and have recently formed a company. Plasmacaps, a team composed of a PhD student and processor in nanoengineering, has designed a powerful energy technology which improves energy density capacitors. In the I-Corps program, the team visited many customers and incorporated feedback into the compact, redesign of their nanocarbon energy capacitors. Plasmacaps was accepted into the accelerated National I-Corps Program in Washington D.C.
CocoonCam, led by a UC San Diego graduate student in Computer Science and Engineering, has designed a next-generation baby monitor that monitors the baby's health touch-free. In the I-Corps Program, he designed and conducted a series of interviews to obtain first-hand information validating CocoonCam's desirability to parents and institutions who will be utilizing it. They will soon begin product testing and are in a much stronger position to approach investors with the customer validation gleaned in I-Corps. Eatsafe, led by a Biotechnology grad student at UC San Diego, has created a small portable device that can detect food pathogens by simply being in close proximity. Eatsafe team members took advantage of the I-Corps Program to interview several categories of customers for their device, determining that international travelers and people with food sensitivities would be the best early adopters. This, in turn, helped guide prototype development and marketing strategies for the device. Who said science and art don't go hand in hand? 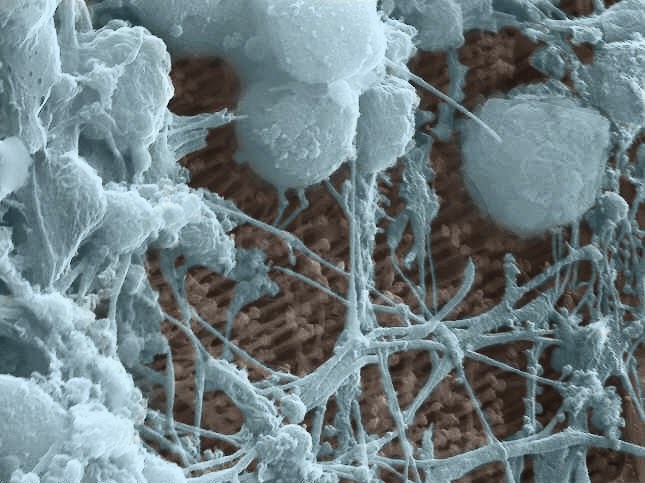 Just take a look at images produced by the research groups of three Jacobs School scientists that were on exhibit at the San Diego Airport last month. Gabriel Silva and Kathy Shaoying Lu, respectively a professor and a researcher in the Department of Bioengineering, and Shaochen Chen contributed striking images to the Airport Art Project, an installation representing the San Diego life sciences industry, coordinated by Biocomm. The installation was "a beautiful representation of science and art that reflects the groundbreaking work being done in the region," according to the project's website. The exhibit's contributor list reads like a who's who of San Diego's scientific community and includes the UC San Diego School of Medicine and The Scripps Research Institute, among many others. Below are the Jacobs School images, with brief explanations about what they represent. It's all about the money, Stefan Savage, a computer science professor at the Jacobs School, says in the Los Angeles Times. Throughout 2011 and 2012, he and a team of researchers posed as buyers of counterfeit goods sold on the Internet and, by tracking the flow of money in these transactions, showed that only a handful of banks were involved in these activities. Working with a Washington, D.C.-based anti-piracy organization called the International Anti-Counterfeiting Coalition (IACC), they helped create a framework whereby brandholders and credit card companies could work together to shut down the counterfeiter's financial accounts, effectively cutting off their economic lifeblood. More about Savage's work here, here and here.